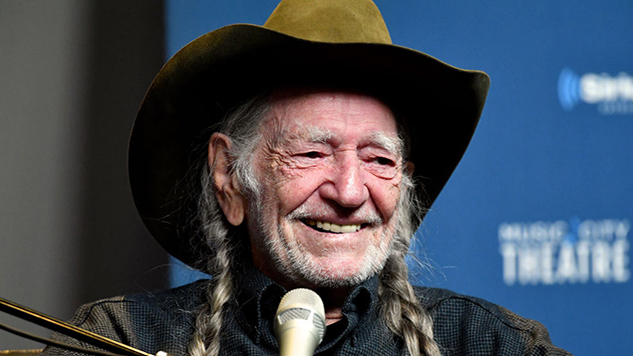 Listen to Willie Nelson's Democratic Anthem "Vote 'Em Out"
Willie Nelson has released the studio version of his democratic anthem “Vote ‘Em Out,” which he previously live-premiered on Sept. 29 at a rally for Beto O’Rourke, who’s currently running as the Democratic Party nominee in the 2018 Texas U.S. Senate race against incumbent Ted Cruz. The song came soon after Nelson’s latest album, My Way, which came out Sept. 14. The song is a response to the current political climate in the country, in which the Republican-controlled government has been met with increasing resistance, especially amongst younger voters. The song acts as a rallying cry for those unhappy with the government to make their voices heard by heading to the polls. “The biggest gun we’ve got / Is called the ballot box / So if you don’t like who’s in there / Vote ‘em out … ” Nelson sings. It’s a protest song, a form that Nelson has become famous for utilizing for over the years. He’s a noted anti-war activist, as well as a proponent of legalized marijuana, and this song seems to just be the latest in a long line of instances of Nelson sticking it to the man. His support for Democratic candidates has drawn the ire of some of his fan base, especially Texas conservatives. But Nelson has remained steadfast in the face of backlash, only asking that people exercise their democratic right to vote. Listen to “Vote ‘Em Out” below and check out Nelson’s performance at Woodstock ‘99 further down.